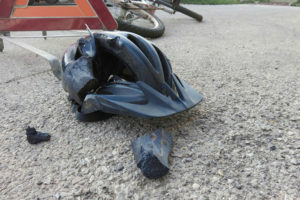 Cyclists face a multitude of hazards and risks when they head out on the roads. You can face a variety of dangers, such as poorly-maintained roads, trucks or cars getting too close, sidewalks that are crowded, construction zones, potholes, loose gravel, debris, and pedestrians. If you are involved in a Phoenix AZ bicycle accident, you might suffer serious injuries because when a rider on a bike gets hit by a car moving at a moderate speed the impact can be devastating. You can suffer broken bones, brain injuries, spinal cord injuries, paralysis, and even death. If you have suffered injuries from a bike crash, Phoenix bike accident attorney Nathaniel B. Preston will help pursue your claim so you can be compensated for your injuries. Even if you adhere to the rules of the road, deck out in safety gear, and take all the right precautions you can suffer serious injuries in a bike crash. Cyclists involved in an accident can end up with outrageous medical expenses and suffer from lost wages and the inability to work throughout a long recovery. The negligence of a car or truck driver can lead to a bike crash even if no contact is made with the vehicles. A car might run you off the road, turn in front of you, or make you swerve to avoid a crash, causing you to have an accident or fall. In such cases where your bike doesn’t come into actual contact with the vehicle, the insurance company of the vehicle driver might not want to pay because it will deny that the vehicle was the cause of the crash. Because of these kinds of predicaments involving bike crashes, you should make sure you have legal representation that is skilled in dealing with bicycle accident liability situations. side of a vehicle. Always be aware of your surroundings so you can get out of the way if you need to at a moment’s notice. At intersections, keep your hand on the brake and make eye contact with drivers so you know they will see you. Cars and trucks have more difficulty seeing a cyclist on the road than any other vehicles, so you need to make sure you are visible by wearing fluorescent gear during the day and having adequate reflectors and lights on your bike when riding after dusk or before dawn. If you have been involved in a bike crash, you should immediately call the police so an accident report can be filed. The next thing to do is to call your insurance company and file a claim. Don’t leave the scene of the accident and never admit responsibility or take the blame. Don’t provide a recorded or written statement to your insurance company if they request you do so. Bicycle accident victims need to show that injuries suffered were the result of someone else who did not exhibit due care when driving. If you suffered injuries in a Phoenix bicycle accident through no fault of your own, you are entitled to be compensated in Arizona. Compensation might include recovering medical expenses, such as doctor visits, hospitalizations, medications, past and future lost wages from being unable to work, pain and suffering, and mental and emotional distress. Nate is an experienced lawyer who is dedicated in helping people get the compensation their injuries deserve. Nate offers a free initial consultation to evaluate your claim thoroughly. You will not pay Nate anything until he recovers money for you through your claim. If you or a family member have suffered injuries from a Phoenix Arizona bicycle accident, schedule your case evaluation with Warnock MacKinlay Law by calling (602) 883-0933 or by completing the online contact form.